« HERMAN FRANK “The Devil Rides Out” Limited Metal Box Edition Detailed! 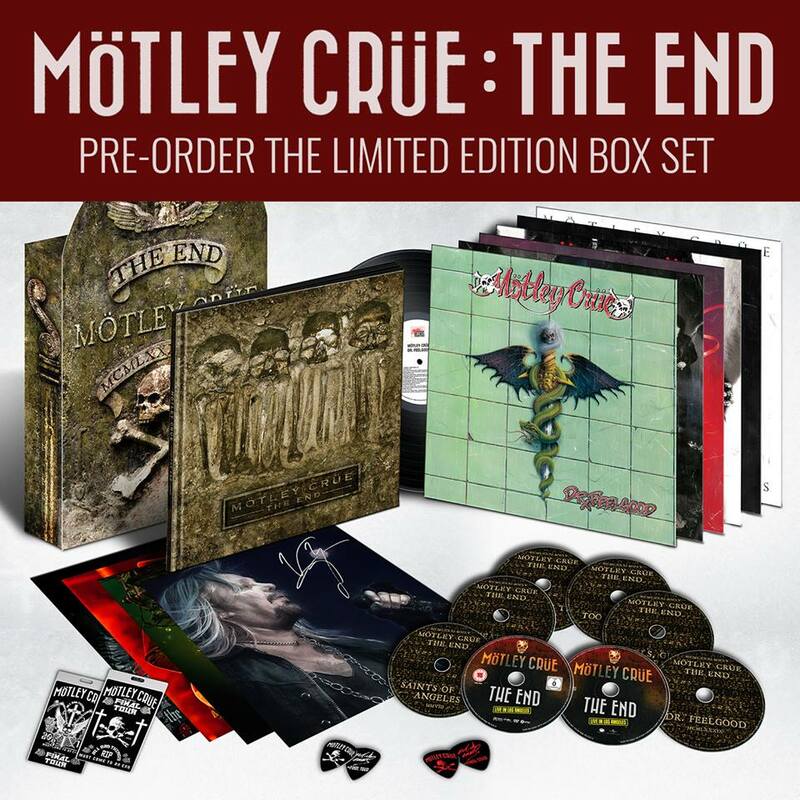 MÖTLEY CRÜE Limited Edition Box Set “The End” Releases November 25th! MÖTLEY CRÜE – Celebrate the legacy of Mötley Crüe with this brand new, limited edition box set entitled ‘Mötley Crüe: The End’ out on November 25th via Eleven Seven Music! LONG LIVE THE LEGACY OF MÖTLEY CRÜE. This entry was posted on September 27, 2016 at 11:00 pm and is filed under classic rock, Hard Rock, Heavy Metal, Music, music news, news, rock music, world news with tags 80's heavy metal, classic rock, Hard Rock, Heavy Metal, metal odyssey, motley crue. You can follow any responses to this entry through the RSS 2.0 feed. You can leave a response, or trackback from your own site.